if the need for peace is like the need for water — if. If so, then you will not be able to live without peace. You cannot live without water. You cannot live without sleep; it’s torture. You cannot live without food; you will die. 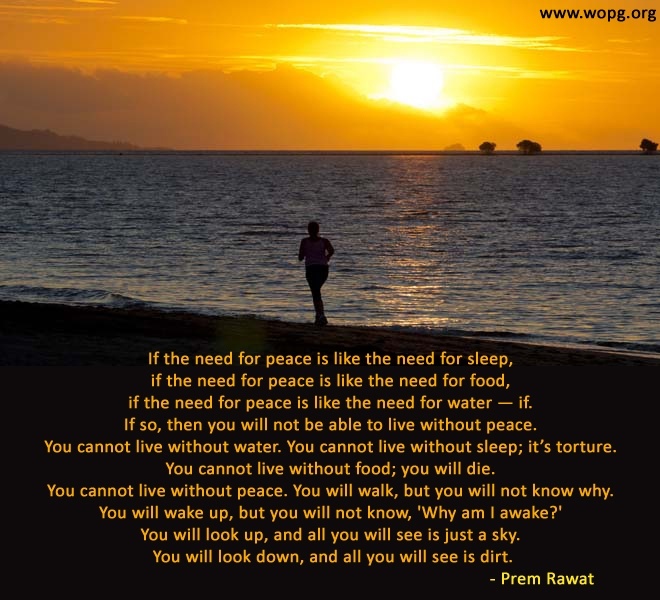 You cannot live without peace. You will walk, but you will not know why. You will look up, and all you will see is just a sky. You will look down, and all you will see is dirt.